J.L. Campbell: #IWSG Post Day! Welcome to another IWSG posting day, where we share our fears and insecurities and also encourage each other on our writing journeys. Take a little time out to visit fellow bloggers and leave some positive words. You may sign up here. Helping Captain Alex today are Julie Flanders, Shannon Lawrence, Fundy Blue, and Heather Gardner! It's the last IWSG post day for the year and a good time to look back at all you've achieved, as well as what you haven't. 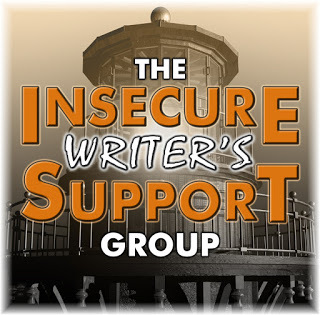 Hop over to the Insecure Writers Support Group page and check out some tips for facing the new writing year. The optional question this month is - As you look back on 2017, with all its successes/failures, if you could backtrack, what would you do differently? I've done a fair amount of things this past year, and one of the things I wish I did better and more consistently, is keeping up with my newsletter. This is one thing that has flagged as the end of the year nears. I hope to do better in 2018. What thing could you have done better this past year? Do you have plans in place for 2018 already? What improvements do you plan to make in how you approach your writing and publishing? Don't forget to visit other IWSGers! Well, that's an easily fixable thing that you can do next year. But sometimes less newsletters are better unless you have news because so many authors use them. Mine is a bigger wish: to write more. I would have worked more diligently on editing my novel... but then hurricanes got it the way. You are still a wonderful inspiration to me, what with all you do and all you get done. Newsletters take a lot of consistent effort all right. Less might be better though since most people get way too many. My newsletter was also on my failure list. I only just started sending them out again. Here's to hoping we do better next year! I don't even have a newsletter so I am impressed with all of you who keep one going at all. Good luck with publishing it more consistently in the new year. And Merry Christmas and Happy New Year to you, Joy! At least you have a newsletter! You've been producing a lot of books which is probably better. I am in the process of setting up my newsletter. Your mentioning yours touch a spot in me. I plan to send out one every quarter to see how it will go over. I'm with you about newsletters. I need to be more consistent about sending one. Here's to a fantastic 2018! Next year, I think my newsletter will be bi-monthly instead of monthly. I started to struggle with what I could share that readers would find value in. Bi-monthly will be better for me. I am so bad about the newsletter. Yeah, I share the same regret. I've got to do better about that in 2018. Sometimes less is better with regard to newsletter. I unsubscribe from those that come out every week, sometimes more often. Yikes! Good luck with yours, though. Best wishes for a great 2018. Thought about doing a newsletter before but couldn't figure out what to share. Besides, don't usually have a lot to share either. I wish I promoted my chapbook more. Which I'll definitely do more in 2018. My writing plan for 2018, though not written in stone, is to take part in a writing challenge. Rewrite, revise/edit and polish my ya fantasy to query in a pitch party. Rewrite, revise/edit poems for a second chapbook. At least you have a newsletter. I guess we can all find something that we could have done better in the past year, that is if we're looking and thinking about it. I hope I do a lot of things better next year.